Did you know that property owners are usually responsible for water and sewer service lines that run from the home’s exterior to the municipal service lines in the street? However, you have no need to worry because we have the resources and the expertise to assist you if you are facing this stressful problem. When you call the best water, sewer and gas installation and repair company in San Diego, be assured that our skillful technicians at Plumbing and Drains Solutions will not leave until you are completely satisfied with our work. It is not always easy to function without water, especially when you have the need to use a faucet or have an issue with a non-working toilet due to the lack of water. We understand the need to have quality work completed properly and in the minimum amount of time. That is exactly what we train our talented technicians for, and customers are always surprised at how quickly and efficiently we complete water line jobs. We can discuss all of your options with you, whether it requires trenching or boring or possible hydro-jetting. Out expert technicians would choose the option with the least amount of disturbance to your valuable landscaping, gardens, flowerbeds, trees, sidewalks, driveways, and fences. 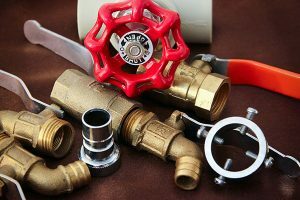 Most of the time, it is impossible to diagnose the source of an underground piping issue without the use of proper equipment and a team of knowledgeable plumbing experts. 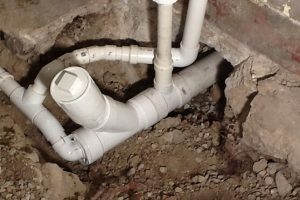 Fortunately, our San Diego plumbing company has years of hands-on experience in dealing with all kinds of sewer line troubles, including a sewer inspection camera which can aid in the repair of a damaged sewer line. While leaks in gas lines are very uncommon, they do happen and these leaks can negatively and seriously affect everyone in and around your home or business. Thankfully, our team is fully licensed, bonded, and insured to inspect and repair your gas lines in the quickest and safest manner possible. All gas line repairs are pressure tested at 15 pounds for 15 minutes per plumbing code. Our state-of-the-art tests, techniques, and equipment allow us to solve just about any problem.